Undertaking a blog is turning out to be a real process of self-discovery. After reading many articles and blogs (such as Writer’s Digest which I wholly recommend), it is suggested that to be a great blogger (and writer for that matter) you need to first know what you are all about, essentially ‘who you are’ – a mission statement if you will. This sounds great in principle, but then you start to think “well hang on a minute, who am I? What am I about? Do I have a mission statement…? !” I mean we all have many parts or sides to our personalities that make up ‘who we are’ but it becomes very difficult to express when you suddenly have to decide which ‘parts’ of yourself you want to promote publicly… For instance, I am many things – a graduate, a cat owner (mummy to, as I do not have any ‘actual’ children yet! ), a woman, a campaigner for women’s rights and sexual equality, an LGBTQ activist, a law student, a believer in human rights, anti-abuse and equalitarian society, and of course a writer and aspiring author. However these many things about me just make up a snippet of ‘who I am’. There are other things that are more difficult to share that make up a person’s personality – gender, sexuality, political and religious views, past history and difficult experiences all make you ‘who you are’ and it is not easy to decide which bits to promote and which to leave out when throwing yourself open to the public for comment and review AND trying to present yourself in a cohesive and reader-friendly manner. How much do you need to say and what should you leave out? These are all questions that I have been battling with since embarking on my blogging journey, and if I’m honest I still don’t have all the answers yet. I have so many things that I want to say about the world as I see it, but again it’s putting those thoughts together into a cohesive way so as to adequately represent who I am and as such abide by whatever mission statement I choose. It seems to be a writer, and particularly writing a blog, begins with a long hard look in the mirror and an acknowledgement of who it is you really are… as such my quest to answer those questions begins here. Confidence or lack thereof in your writing ability despite constant praise from those who read it is a typical one. Self-doubt that really you’ve written a load of old tosh and that no one will be interested in it or read it can plague your thoughts. Be reassured that in spite of what you might think every writer has these fears, even some of the greatest authors of all time had doubts. Have faith in yourself and what you have to say. It is important. You are relevant. 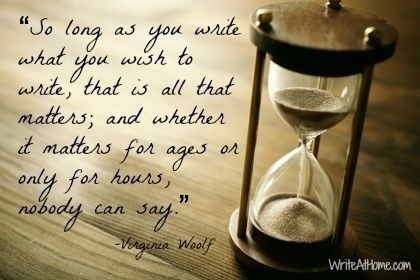 Now get writing..! Opportunity to write can be tough to find, especially if you are from a small town like I am. Local experience if you can get it is great but if you, like me, have very little media sources available in your area then perhaps you need to consider moving further afield. Another option is writing via social media or online. As technology has grown so too has potential access to opportunities that you would otherwise not have had. Do your research; see what’s available and where you would best be placed to really make a go of things. Be brave and get yourself out there..! Relationships are probably one of the biggest obstacles to following your dreams. I don’t say this because I am any kind of romantic cynic, on the contrary, I have been ruled many times by my emotions, and that is exactly why I have this opinion. Good old-fashioned experience. I didn’t go to university when I was 18 partly because I wanted to preserve a relationship (although thankfully I did go later). Many times since then a partner has persuaded me not to pursue certain hobbies or changed my mind about where I want my life to go, and in each and every case the relationship has ended and I have regretted my decision. If a relationship is meant to be your partner will respect what you want to do and your relationship will find a way. You shouldn’t need to compromise who you are or be dissuaded from following your dreams for anyone. Be you and be proud..! Now obviously, all these things are easier said than done. Leaving home and/or loved ones in pursuit of something you are not completely confident about is a difficult task, but one that may be highly rewarding intrinsically. It may be a hard journey, but it’s one worth taking.